We don’t have an official scrum master in our team anymore. We now have 7 ! A different team member assumes the full scrum master role at every sprint. 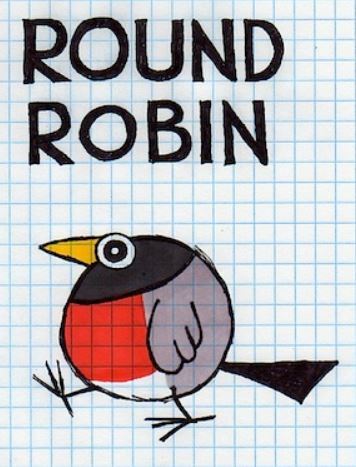 Why did we switch to Scrum Master round robin ? How did we do it ? Before our delegation board meeting, we had prepared all the activities we are regularly doing. We found quite a few recurrent non programming tasks that traditionally eschewed to the team lead (me in that case). The initial plan was to find ways to delegate these activities to the team during the meeting, but it would have took way too much time. List all the activities of the scrum master. Make this more fun ! I bought totems for the scrum master. The team chose to keep Yoda in Paris and send Darth Vador in Ahmad suitcase back in Beirut. What did we get ? After a few sprints of this, the feedback I got is that people like the increased involvement in the big picture (Daniel Pink told us that already). On my part, it allowed to increase my programming time to nearly 7 uninterrupted days per sprint (10 days). I’m quite happy with this ! As for the third goal, learning new skills, I guess we’ll need a bit more time to figure this out. Understanding is key to building quality software. Here are 3 levels of understanding we should go through before we start coding. Skip studying queuing theory! Play this 1h15 serious game for learning why building-in quality at the source leads to a productive and sustainable pace. Team organization is tough. Event Storming builds enough shared knowledge and architecture for successful team re-organization workshops. © 2019 Philippe Bourgau. Powered by Jekyll & Minimal Mistakes.